India's HOTTEST looking Contessa is here; We like! India’s HOTTEST looking Contessa is here; We like! 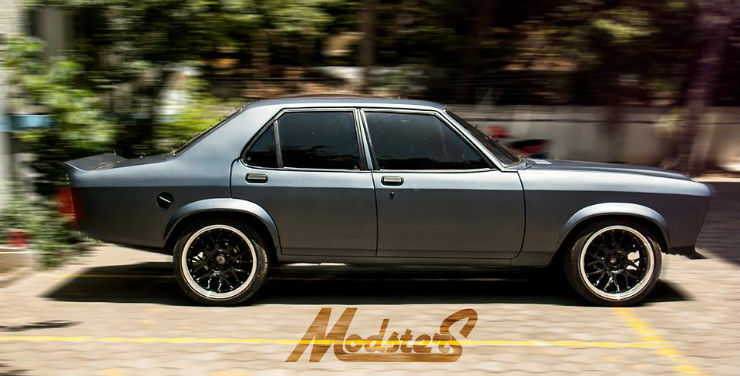 The HM Contessa was the closest thing to a muscle car that India got. 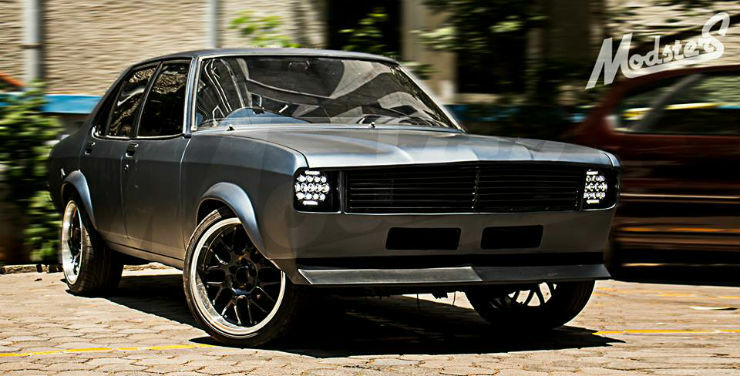 Its long bonnet, straight lines and boxy design were very muscle car like. This was one car that most enthusiasts liked when it was launched. 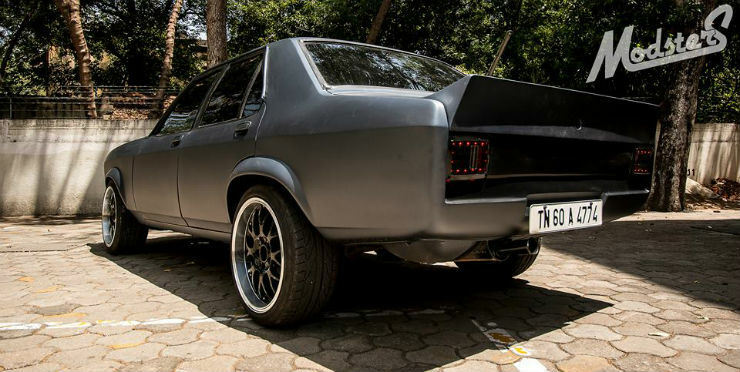 Given that this was the closest thing to a muscle car India got, there are many people who have opted to modify their Contessa to make them look more like a muscle car. Here is one such car. 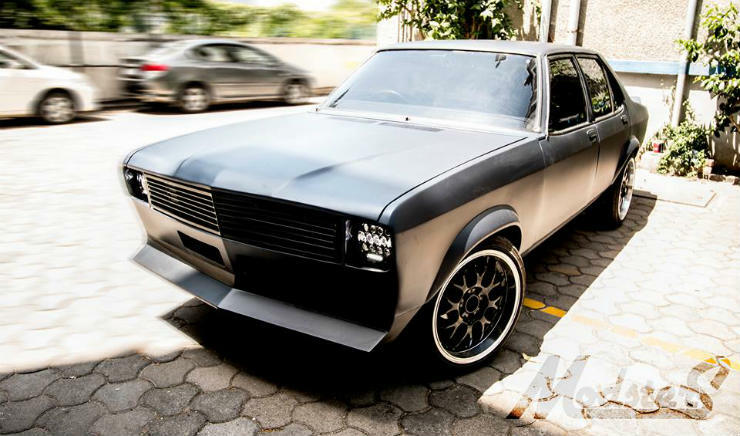 The vehicle has been done by ‘Modsters Automotive’ and has been christened the ‘Grey Hound’. So what all has been done? Let’s start with the exteriors, since that is the first and most eye catching thing about this car. The front end has been completely redesigned. The grill, the bonnet and the front bumper are all new. The headlamps retain their round shape, but have gotten a LED treatment. 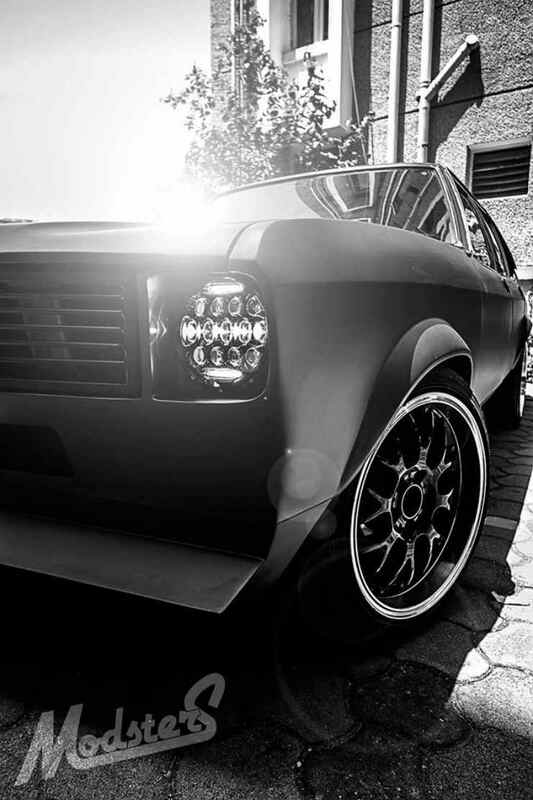 Around the side, the wheel arches have been extended to give it a more muscular look. At the back, there is not much change. The tail lamps now gets an LED integration and there is an all new duck tail spoiler. The vehicle has been finished in a custom matt grey paint shade which we think makes it look fabulous. Of course, the rims and tyres have been upsized to give it better stance. On the inside, the car features custom upholstery to match the great exterior job done and to keep the passengers in comfort. Since the Mustang has been launched in the country last month, it has generated a lot of buzz due to its affordable pricing. It always had the appeal and is now finally in the market. But if you cannot afford one, you can certainly transform a Contessa to look like one. There is no comparison to the fire power or to having the original one, but this is one cheaper alternative to have a Mustang look-a-like, if not the Mustang itself. So if Mustang is life but your bank account says otherwise, this is the way to go.